» Can Cats Eat Shrimp? Shrimp is one of the most popular seafood dishes all across the world. Whether they are cooked in pasta, served with a tossed salad, or eaten with cocktail sauce, what could be better than shrimp? Most cats will definitely be interested in shrimp. After all, cats are carnivores and shrimp is meat. While it’s actually pretty unlikely that the ancestors of our domestic cats would ever have come across shrimp in the wild, modern-day housecats are often offered a little bit of it now and again as a tasty treat. However, the question remains: can cats eat shrimp? Human beings have been eating shrimp for millennia. Evidence of our obsession with this dainty crustacean has been found in the ruins of Ancient Pompeii as well as Ancient Greece. The indigenous people of North America were also shrimp-lovers, and they devised a variety of creative methods for catching them. With the introduction of commercial shrimp farming, shrimp has become far less expensive and much more available. Many of us now wonder if we might be able to share a shrimp with our feline friends. Generally speaking, shrimp are not harmful to feline health and can be a healthy addition to your cat’s regular diet of high-quality cat food. However, as with most human foods, there are some things you should watch out for before inviting your kitty to share a shrimp cocktail. Just like an oyster, it’s unlikely that your cat would ever hunt one of these in the wild. Shrimp contains a variety of vitamins and minerals that can be beneficial to your cat’s health, including carotenoid astaxanthin, selenium, and vitamin B12. Best of all, most cats go absolutely crazy for shrimp and will gladly accept one as a treat, much like they do with tuna! The danger of feeding shrimp to your cat lies less with the chemical makeup of shrimp and more with the behavioral changes that too much shrimp may bring about. Because cats love shrimp so much, it’s quite possible that giving your cat shrimp too frequently will cause them to not want to eat their regular cat food. While tasty, shrimp is not an adequate substitute for a high-quality cat food, such as Nutro Max Indoor Cat Food. If you give your cat shrimp too often, they may begin to refuse to eat their regular food. Why would they want to eat boring kibble when they know that somewhere out in the world there are tons of tasty crustaceans just waiting to be nibbled? Only give your cat shrimp once and a while (once a week at the maximum is a good rule of thumb). Only give your cat a small amount of shrimp, as too much may cause digestive upset. Never mix pieces of shrimp with your cat’s regular food. Offer the shrimp from your hand as a special treat. Make sure to only give your cat cooked shrimp, and skip the cocktail sauce! Dressings and sauces that are commonly served with shrimp contain tons of extra salt, sugar, and calories that your cat simply doesn’t need. Make sure the shrimp are cleaned and the tails are removed. The hard exoskeletons may pose a choking hazard to your cat and could become embedded in their throat or stomach lining. It’s not a good idea to give your cat raw shrimp for the same reasons why it’s not always a good idea for humans to eat raw shrimp. While many of us will eat raw shrimp as part of a sushi dish, there is still some element of risk involved in eating raw meat or fish, no matter the source. Feeding your cat raw shrimp leaves them vulnerable to a variety of bacteria, including salmonella and E. coli. There is also the risk of food poisoning. Plain, steamed shrimp is definitely the way to go! This cat and her young human friend are sharing a bit of shrimp for lunch. Generally speaking, it’s not usually a good idea to get your kitten used to eating human food. This is partially because kittens are still growing and should only be consuming the best nutrition possible in the form of a high-quality kitten food such as Blue Wilderness High Protein Grain Free Kitten Dry Food, which is grain-free and lists meat as the primary ingredient. 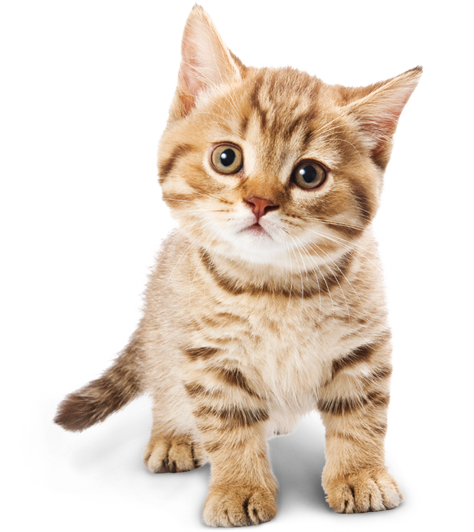 Kittens are even more susceptible to pickiness than adult cats. If your kitten starts off their life eating a lot of human food, including shrimp, you can be sure that they will soon lose interest in their kitten food. Shrimp has health benefits for your cat, but if your cat is eating a high-quality cat food, they don’t really need the extra nutrition boost. The real benefit to feeding your cat a piece of shrimp once and a while is that it fosters bonding between you and your beloved feline companion. Cats can safely eat shrimp, and it feels good to share with them! That being said, it’s important not to give your cat shrimp too often as they may become picky and refuse their cat food. Also, too much shrimp may cause digestive upset such as vomiting or diarrhea. If your cat displays any of these symptoms after eating plain, cooked, shrimp, don’t offer it to them again. These cats are enjoying some shrimp as a treat- see how little they need to be happy? Because so many cats love shrimp, the pet industry has given us plenty of tasty alternatives to eating actual shrimp. Many cat treats are made with seafood, and plenty of varieties contain shrimp. When looking for a shrimp-flavored cat treat, stick to treats that list shrimp as the first ingredient, such as Purina Pro Plan Protein Crunch Shrimp treats. You can also try treats that are made entirely of shrimp, such as PureBites Freeze Dried Shrimp Cat Treats. They are small and bite-sized, perfect for a cat that craves some shrimpy goodness! So, Can Cats Eat Shrimp? Yes! Shrimp is not dangerous for cats, and your cat will probably love them! That being said, you will want to give your cat shrimp only on special occasions and only in small quantities. If you’re not sold on giving your cat human grade shrimp as a treat, there are plenty of shrimp treats that are specially made for cats on the market. You should choose treats that list shrimp as the first ingredient like Purina Pro Plan Protein Crunch Shrimp treats or freeze-dried shrimp-like PureBites Freeze Dried Shrimp Cat Treats. Another tasty treat your cat may like is bacon, and you can find out more about that by clicking here! Does your cat love shrimp? How do you treat your cat to a piece of shrimp now and again and still be sure they will eat their regular cat food? We want to hear all about it- let us know in the comments!